Concerning Turkey’s efforts to get close with the EU countries, Commissioner for European Neighbourhood Policy and Enlargement Negotiations Hahn has said, “Just sweet words are not enough. There are still tens of thousands of journalists, lawyers and academics in prison”. In an interview to Germany-based news agency dpa, Commissioner for European Neighbourhood Policy and Enlargement Negotiations Johannes Hahn has said that the ties between Turkey and the EU “should be rendered more realistic”. Hahn stated that a “strategic partnership” can be formed with Turkey instead of full membership as President of France Emmanuel Macron brought to agenda recently, and that hopefully the EU members will discuss this proposal. 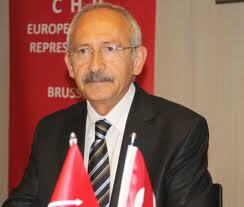 Concerning Turkey seeking to have closer ties with the EU countries, Hahn said, “Just sweet words are not enough. What matters is the facts and these facts haven’t changed yet”. “There are still tens of thousands of journalists, lawyers, academics and civil servants in prison. There is no change in this situation which is unacceptable in terms of rule of law”. Hahn criticized Germany’s suggestion to “meet the aids promised to Turkey for Syrian refugees from EU budget”. “If the member countries want the new expenses to be met from the common budget, then they should say how to provide this fund”.